I have been meaning to write this post for a while now, in fact it was one of my first ideas. It has been on my mind because the language and environment we create around eating can significantly impact how our kids eat, for the good or for the bad. I hear parent’s say these statements so often and I know that they probably don’t realize that they may be making mealtimes worse. Here are five of these common phrases and why you shouldn’t say them. 1. “Oh, ‘Suzy’ doesn’t like that.” I am starting off with one that probably makes me the most crazy. I am always so surprised by how often I actually hear this and it is usually at a party when there is a ton of food around. Why You Shouldn’t Say It: Years ago I was watching Rachael Ray, long before I had kids, and she told this story that has stuck with me… Before she was on TV, she was in the gourmet food industry, and would be giving samples out of a recipe she had made in grocery stores. Kids would often watch interested in what she was doing or handing out, yet, when she offered a sample to them, most parents stepped in saying, “They won’t eat that.” This story perfectly illustrates my point. Always, give your child the opportunity to try something new or try something again. They may surprise you, but more importantly you will be creating an open, inviting, positive environment around a large variety of foods! 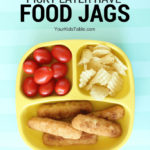 Also, try to keep in mind that kids need to try a food at least 10-12 times before you really know if they don’t like something, most of the time they haven’t even come close to that number (See my Basic Strategies for more info on this). Even if they have tried chicken 30 times, it still doesn’t hurt to give it another try. So what if they don’t eat it, no harm no foul. If you don’t want to waste food, just give them a small piece and encourage them to interact with it (touch, smell, taste). By putting something new or non-preferred on their plate, you are sending a message that you are at least hopeful that they will try a bite, instead of instating or reconfirming a dislike towards a food that you probably wish they would eat. 2. “Clean your plate!” ‘Finish all your food’ and ‘make a happy’ plate both apply here, too! 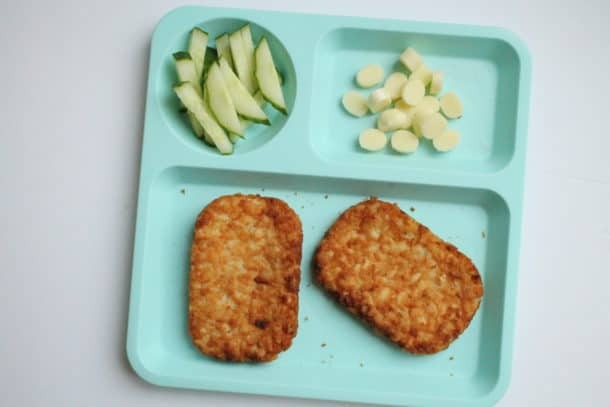 Why You Shouldn’t Say it: We want to teach kids to eat until they are full not till their plates are clean. The portions we give them are usually too big and even if they aren’t, we want to teach them to respect that feeling of satiation (something so many of us ignore). 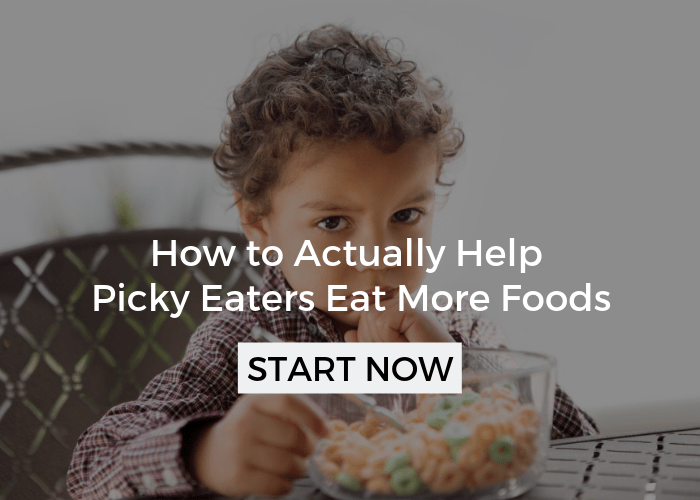 Of course, if your kiddo has had two bites or you feel they legitimately haven’t eaten enough, it’s ok to encourage them to eat more, but the goal shouldn’t be for them to eat it ALL. 3. “‘Sam’ is such a picky eater.” I have touched on this in other posts and yes, I know I have a regular segment titled “Picky Eater Tips“. It wasn’t my first choice to use that term, but it is a simple term that people immediately understand, so I caved. However, I try not to ever say it about my own children and especially not in their presence. 4. “Daddy doesn’t like ‘peas’.” I am not trying to stereotype here, just an example Dad’s, this goes for anyone that is regularly eating with your kids. Why You Shouldn’t Say It: It isn’t fair to kids to expect them to eat the peas when you aren’t. You can’t go around making exceptions for yourself because you really really hate peas. Whoever is regularly eating with your child should be on the same page about this and at a minimum not make a statement like, “Oh, Daddy doesn’t like peas,” when they are wondering why Daddy doesn’t have any on his plate. 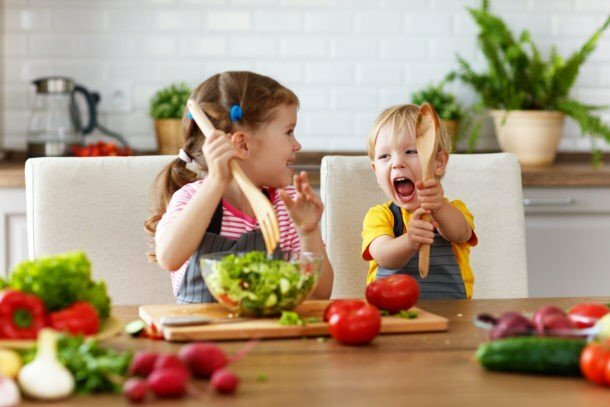 By drawing attention to an adult’s dislike of food you risk opening the door to all kinds of similar statements coming from your child’s mouth about their own food preferences. Besides I am sure you and the other adult’s in your kid’s life want to set a good example for them to model. If you or another adult really can’t bring yourself to have a bite, then be discreet about it, trying not to call any attention to the fact that you aren’t eating them. Why You Shouldn’t Say It: Parents tend to use this phrase in two instances. 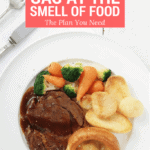 First, parents will often go to this when a child is refusing to eat what was originally presented. For instance, you give your kid spaghetti and meatballs and all they do is push it around their plate. You are frustrated and want them to eat something, so you may say, “What do you want to eat?” Not a great idea because you are turning yourself into a short order cook and reinforcing the idea that they don’t have to eat what you have prepared, but can have whatever they want. My Basic Strategies page for a lot more info on this. Second, parents may ask this when they don’t know what to feed their kid or want to make sure they are going to eat what they make. I don’t like this because it is giving the child way too much control. They are likely to keep themselves very limited, only choosing their favorite foods, and reducing exposure to a larger variety of foods. It also gives them the idea that they are running the ship, which leaves little room for you to encourage a larger variety and/or quantity of food. Instead of asking what they want, give them a choice between 2-3 foods. As children get older, I would let them help get into meal planning and reinforce planning a healthy balanced meal. This is a do-able list, right? Erasing some of this language from your conversation is an easy fix that will make your kid a better eater in the long run. 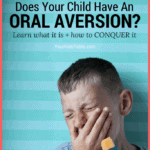 You will be creating a positive environment that your child feels comfortable, and not pressured, to try new foods in! Are any of these going to be hard habit for you to break? Have any other phrases you think should be on the list? What do you do when your toddler specifically asks for something? My 2-year old will ask for a Popsicle or Goldfish or candy. I make a plan to have it and if I don’t want them to have it regularly, then I don’t keep it in the house. So, I may say, okay we can have that for snack. Or, Sure, we’ll have that for lunch tomorrow. A quick “not right now” and then redirecting them to something else can be super helpful. Thanks Kittie, and its so easy to do! I found your website via Pinterest. I’m soo glad to have found it. My husband and I are struggling with our 4-year-old daughter and it’s exhausting and very discouraging. She’s never been a good eater. I will definitely bookmark your site for guidance in our journey with her. Thank you!! I’m glad you found your way here Estelle! There is a lot of information here so take your time and let me know if you need anything. Wishing you progress with your daughter. Great article – thank you for your dedication and the time you take to share tips and expertise. 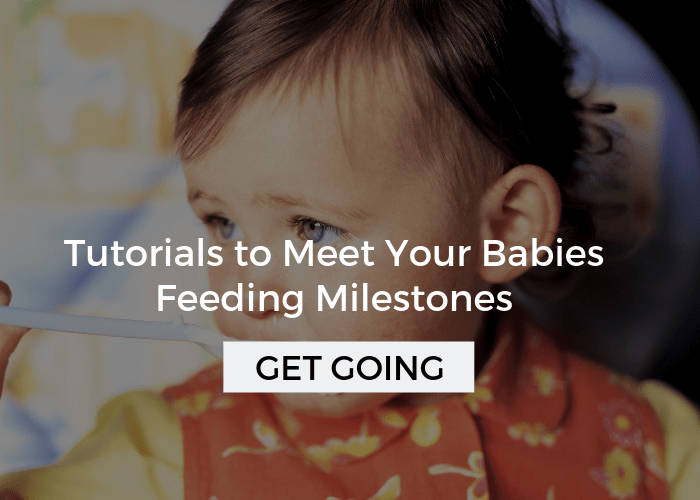 As a new mom I have tremendous respect for those who take the time to share all this valuable information – we have SO much more at our fingertips than our moms ever did. My LO has only JUST started solids but I guess its never too late or early to start instilling these ideas – the only one I would have a hard time with is the Clean Your Plate one ~ though I agree with it in principal, I am from India and was brought up there for the better part of my childhood and was only ever given portions that my mom knew I’d be able to handle eating and asked to always finish all of it as a mark of respect and to acknowledge that good food is never to be wasted. When I was stubborn and didn’t comply I was surrounded by examples of children with barely 2 grains of rice to rub together to know that I was fortunate to have what I did and should finish it all, if not in one sitting then in two or however many it took :)! I guess its a contextual and cultural thing but its a lesson that has stood me in very good stead over the years, long after I have left India and the sights of the poverty there. Now, raising my baby in the US, I reckon I would have a hard time shedding that aspect of my ‘food culture’ and beliefs but I guess time will tell :)! Thanks again! That’s an interesting and valuable perspective, thanks for sharing! I have a 7 year old girl, her height is average but she is in the lower 50 percentile of weight, she is very skinny. she does not eat meat or chesse in any form, sometimes she chews and spits out the chicken, at breakfast she gets full with a yolk, she also complaints of stomachache at dinner time, she gets moody and refuses to eat dinner and this has been happening for the past 2 – 3 months. I am concerned about her nutrients and water intake. Please tell where could I start . I would get a GI appointment and ask about reflux, food allergies, and stomach emptying. Also, explore a protein shake, smoothie, or pediasure. Hope that helps a little- let me know if I can be of any more help! This is really true and I have been trying to follow these rules from the beginning. But we cannot stop the guests saying these wrong phrases. How can we make them understand our concept? I hear you! I really struggle with this, too! I guess it depends on your comfort level. With some family and friends, I say something to them after the meal and explain that eating habits are a real priority for us. I also will correct them politely, for example: “Oh, what Pappy meant was he hasn’t tried the peas in a long time. Not that he didn’t like them.” Let me know if you figure out any other solutions! Love this list…so helpful and definitely something that I need to share with grandparents—especially number 5!!!! 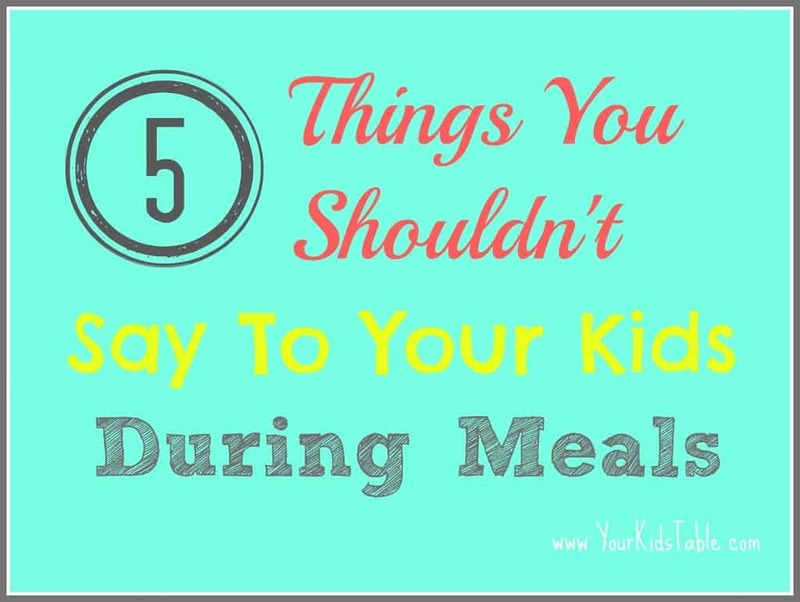 The best thing I ever did with my kids was adopt a “take it or leave it policy” for meals. They don’t have to eat it but that is all there is. My two year old has her more “particular days” and sometimes will eat a bite or nothing, but she knows that is all there will be and doesn’t fight for more. I always try to put one thing I know they love, one thing I think they might at least try, and one new thing on their plate. I love that policy! Every parent needs to find their own comfort level with this. In the long run you are laying the foundation for a solid eater or at least helping to avert a picky eater. Brilliant post. I would add to this constant commands to “eat your vegetables” they soon realise Vegas are something different and it becomes a battle. I never make a fuss about the veges and mine seem as happy eating them as anything else. Good list, how do you avoid saying they don’t eat when you have to explain it to doctors in their presence? 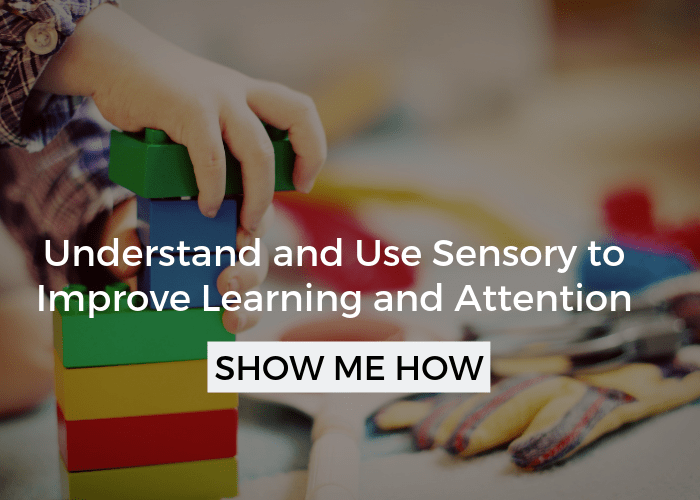 My son is high functioning autistic and only eats about 5 things, so I have to explain this to his psychologist, pediatrician, therapists, child development specialist, dentist, etc, etc, etc. He’s only 4, I can’t send him out in the hallway alone. I try to avoid saying it, but I have to let them know so I can ask for help. The problem is that they all say he will eat eventually, so don’t worry about it. Argh. I just found this site, so I am going now to read everything I can! 🙂 Thank you for this site! Oh my gosh Deanna, the doctor is a total exception. I was really referring more to people saying “picky eater” all the time in front of their kids. I know how stressful this is. Hope you find some help here! Thanks, I just feel like I am ALWAYS telling different doctors, and I KNOW he picks up on it because he repeats it later. Maybe I’ll just write a list of those foods he will eat and hand it to them. 🙂 Thank you again! I have two autistic kids so deanna i hear ya. One thing i have started is i make one of my boys favorites and a new food. My kids a lot of the distaste is because of texture. Great post! I definitely fall into the trap of #5. 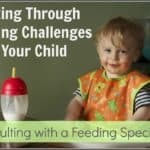 I get really frustrated when my son won’t eat, even when offered several choices, and so often try to have him tell me what he wants. I know I shouldn’t give him that much control, but it is hard to resist! Thanks! I know, it is hard! It will be hard to break the habit at both, for both of you, but if you do his eating will improve in the long run. Good Luck! Great story, thanks for sharing:) It is so true, at times, we really can shape some of the choices our kids make. It is amazing how many people say that, but I guess that’s how most of us in our generation were raised. It is so hard to raise kids in our culture without associating food with a reward (balloons). Thanks so much for adding this to the board (and for the comment), I will be sure to follow it! This is such a great post. I couldn’t agree more about the “clean your plate” one. I have always thought it was weird that we have this idea kids should eat everything they are given. We had it from a waitress the other day in a restaurant. She said to my not yet three year old son, “i’ll give you two balloons if you finish your food”. Er! What! actually i’d rather he stopped when he’s full. I’m going to pin this to the Sunday Parenting Party Pinterest board (which we use to pin any great parenting posts not just ones that link up). I LOVE this. Such great advice. 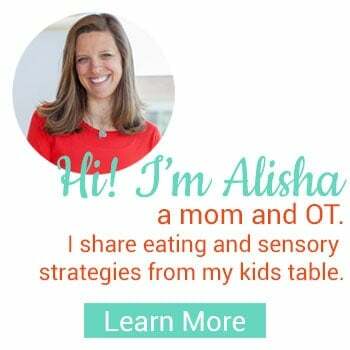 So many times children choose to not eat something because a parent or sibling says “I don’t like this!” and children’s preferences change all the time so to say “Oh she doesn’t like “insert food”” only reinforces her dislike instead of encouraging her to try it again! Great post! Yes, that is totally right! You totally get it! We really do have a big influence over what our children eat. Thank you for the comment and stopping by! I am a fan of your blog! Another great post, thank you for the suggestions. 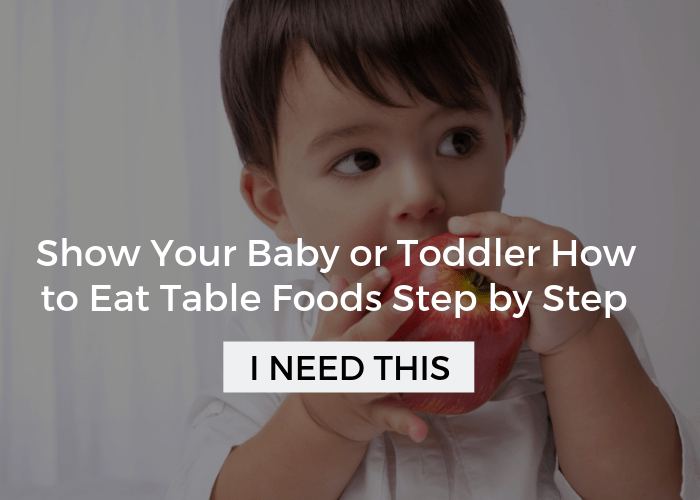 We have a 14mth old and try to expose him to lots of different foods as we don’t want him to become a picky eater. These are great tips for us to keep in mind. Thank you, I recently started following your blog and love pretty much everything you post! Thank you so much! What a wonderful job you are doing educating yourself so early on, that’s really great. Two of my favorite pages I follow on facebook posted this and I love it! I’ll be sharing with all my mommy friends. I also want to check out your other pages you suggested! Such a great post. My 4 year old gets pickier every day and I am at a total loss…no clue what to do. I’m really only guilty of #5 though, but maybe that is making a big impact on him. We had friends over for lunch and not only did he refuse what I made, but he even went to the kitchen and got his own alternatives. A clear case of kid with too much control? I know it is so challenging! Don’t worry though, it isn’t a lost cause! Make sure you check out my basic strategies (in the navigation bar at the top) to get started. He may have a little too much control, start off my making slow changes and be consistent. You will get there! Let me know how it is going! Yes! Also, “don’t yuck someone’s yum”! Absolutely! That’s a great one! I love the first one! I am pretty sure I’ve said that a few times not even thinking about it! I will have to remember to be more careful in the future! 😉 Great list!